Fisker Automotive is continuing expansion of its global sales and service network with a distributorship agreement in Dubai and elsewhere in the Middle East. The company is a start-up automobile maker specializing in plug-in hybrid luxury sedans for "premium customers." The expansion into the Middle East follows a string of new dealership openings across the U.S., Canada and Europe. Fisker's partner in the Middle East, Trading Enterprises and the Al-Futtaim Group. Colin Cordery, Managing Director, Trading Enterprises said: “We are familiar with first-class automotive brands and understand the need to offer premium customers a technologically advanced vehicle that respects the environment. Trading Enterprises plans to distribute Fiskers automobiles exclusively in the UAE, Saudi Arabia, Qatar, Kuwait, Oman, Bahrain, Egypt and the Levant. The first Fisker show-room in the Middle East will open in Dubai Festival City’s automotive park before the end of the year. Depending on options and trim chosen, the Fisker Karma will retail in the UAE for between AED500,000 and AED600,000. In June, Fisker opened its 79th dealership in Montreal and in July the company signed an agreement with the Guarnieri dealership group to exclusively import and market all Fisker Automotive vehicles into Spain, Portugal, and Morocco. The continuing expansion flies in the face of claims by some that Fisker Automotive is a loser that's about to go bankrupt. For example in early October, Presidential candidate Mitt Romney tried to equate Fisker with Solyndra, an association which Fisker rejects. In May the company issued a "business update" that said the company had delivered over 1,000 Karma's since December 2011, and that its financial status was in no way teetering on the edge of bankruptcy. Since that business update the company has disclosed sales have reached 1,500 vehicles worldwide. Better hurry. Without batteries a battery powered car is pretty tough to sell. There is absolute hilarity in people in Saudi Arabia driving electric cars. 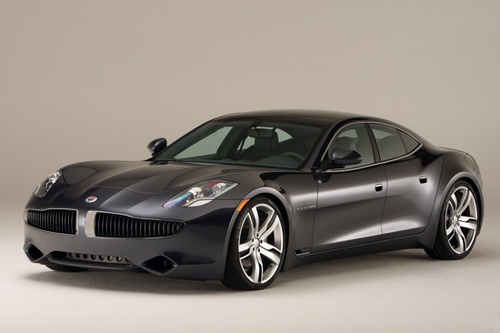 3 weeks ago an officer of Fisker told me that about 1000 units had been delivered to customers. "Sold" has a funny meaning at Fisker. I'm looking for a car dealer or seller of Fisker Kama and VL destino if you could send me their info to the above email it would be of great help. I reside in Riyadh, KSA. Thank you.